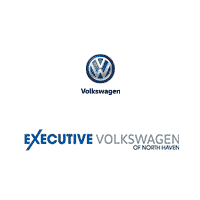 Our Volkswagen dealership is proud to help customers of North Haven and New Haven with their car-buying needs. Whether you’re looking to bring home a new or used Volkswagen model, need your current vehicle serviced, or would like to secure an auto loan, our dedicated staff will be more than happy to assist you along the way. As you browse through our extensive new inventory, you’ll be sure to find the right sedan, wagon, or hatchback to suit your individual needs. From the Jetta, to the Golf, our wide range of models will be sure to leave you impressed. If you’d prefer to take home a pre-owned Volkswagen, we carry a variety of years, makes, models, and trims for you to choose from. We also have a collection of vehicles for sale under $10,000, so your dream Volkswagen doesn’t have to break the bank. When shopping with us, you can expect a genuine, hassle-free car-buying experience without ever having to worry about being nickel and dimed with unnecessary charges or hidden fees. It’s important for us to provide our North Haven customers with the best cost on their new investment; that’s why we believe in the Volkswagen Perfect Price Policy. If you need additional help covering the cost of your vehicle, our auto finance center will be glad to help you out! If your Volkswagen requires maintenance or repairs, come to our service center and our team of expert technicians will do their best to get your car back on the road in no time. Whether your vehicle needs an oil change, a tire rotation, or a new battery, you can trust that your car will be left in great hands. When it comes time for scheduled Volkswagen maintenance, we provide a variety of prepaid care plans that you can select from, depending on your model year. If you have any questions or comments, feel free to reach out to us at (855) 250-6818. We look forward to serving our North Haven and New Haven customers!